Few of the many activities one could choose can match the exhilaration, challenges and rewards of flying. One of the first steps in learning to fly is taking “ground school”— your preparation for the world of flight! 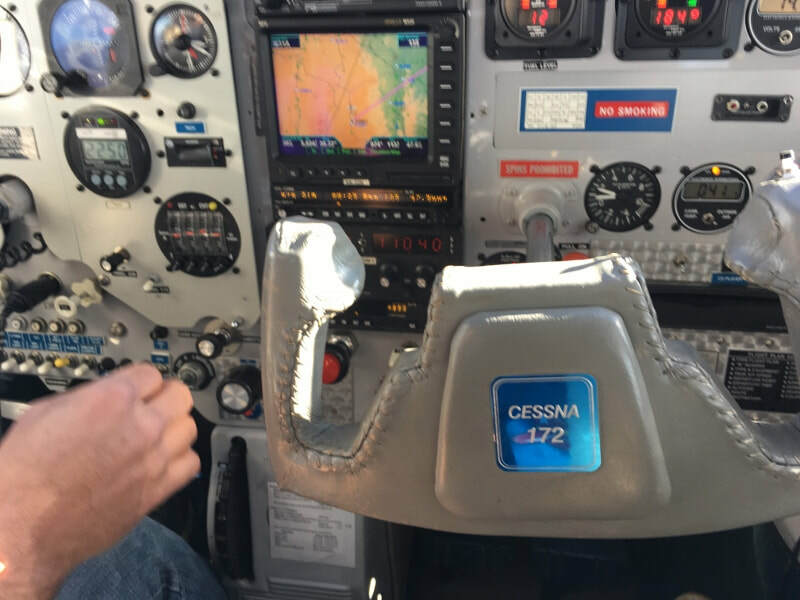 Aspiring pilots need to learn a number of basics: aircraft instrumentation and operations, weather, how to read aviation maps, how to plan a cross-country trip, and many other topics in order to be a safe and skillful pilot. Sugar Valley Ground School's FAA certified pilot educators help students learn what they need to know by supplementing instruction with audio-visual aids, training film clips, and trips into the hangar to see close-up what the instruments and parts of the airplane look like and how they work. ​This service is freely given to the aviation community, offered by pilots "paying it forward," so others may experience the joy of flight. The textbook is Rod Machado’s popular and easy-to-understand Private Pilot Handbook, supplemented by Gleim’s Private Pilot FAA Knowledge Test book, and the FAA’s Pilot’s Handbook of Aeronautical Knowledge. This course is for aspiring pilots, certificated pilots who’d like to refresh their knowledge, and folks who’d just like to know more about flying and aviation operations. Families are welcome! *Students may be able to purchase supplies at cost. Two-hour classes for 12 weeks ​are held on Friday nights, in the Sugar Valley office building classroom, 6:50 p.m.- 9:00 p.m. The spring session begins on May 24, 2019. Click here to see the proposed schedule. ​​Sandra Smith holds an FAA Advanced Ground Instructor and Commercial Pilot certification. She is an FAA Safety Team Representative, the chair of the Kitty Hawk Chapter of The Ninety-Nines, and an officer in the Civil Air Patrol Sugar Valley Composite Squadron. She is a member of the Society of Aviation and Flight Educators (SAFE), the Aircraft Owners and Pilots Association (AOPA), and the Experimental Aircraft Association (EAA), with which she provides youth their first flight experience in the Young Eagles program. In April 2019 Sandra was awarded an Amelia Earhart Memorial Scholarship, specifically the Vicki Cruse Memorial Scholarship for Emergency Maneuver Training by the Ninety-Nines International. Read more about it here. ​ Q: How did you discover your love of aviation? A: Ever since childhood in the early 1960s, while watching the planes approaching and departing Smith Reynolds Airport, I wished to be up there with those pilots, to experience what they were enjoying. It wasn’t until 1999, though, that I began to realize this dream. I took ground school never having set foot in a small plane, and after graduating, I took my first inspiring flight lesson! A: Those who are doing what’s challenging, yet meaningful to them are very inspiring, and their names are many! Q: Your favorite activity, besides flying and teaching ground school? A: Helping others, in whatever form that may take: from volunteer service, to saying a kind word to someone who needs to hear it. Q: If you were to give one piece of advice to student pilots, what would it be? A: In flying, as with any worthwhile activity in life, if an aspect seems to be difficult, or if someone says you’ll never succeed: Persist. A: “The most difficult thing is the decision to act, the rest is merely tenacity. The fears are paper tigers. You can do anything you decide to do. You can act to change and control your life; and the procedure, the process is its own reward.” Amelia Earhart (the emphasis is mine). Q: A memorable experience from teaching ground school? What stands out to you in being able to share your knowledge and skills? A: There are many inspiring experiences from teaching ground school. One of the first students ended up earning her private pilot certificate in 5 months on her 17th birthday, then going on to Embry-Riddle Aviation University, graduating with a degree in mechanical engineering, and doing service work in many places. An 83-year-old student wanted to do his first solo flight on his birthday, and he went on to earn his pilot’s certificate! Another student ended up being featured in AOPA Flight Training Magazine when he earned his Flight Instructor certification (CFI)—no small accomplishment—on his 18th birthday! And I’m sure many other wonderful things have happened that I haven’t heard about. I feel very proud of my students, who persist in developing their knowledge and skill set—regardless of how far they take it—for a pursuit that can be fun and rewarding, but it is also not the easiest to learn. I care very much about their success! Thank You, Sandra! Sugar Valley Airport is grateful to have your generous service, big heart and warrior spirit!